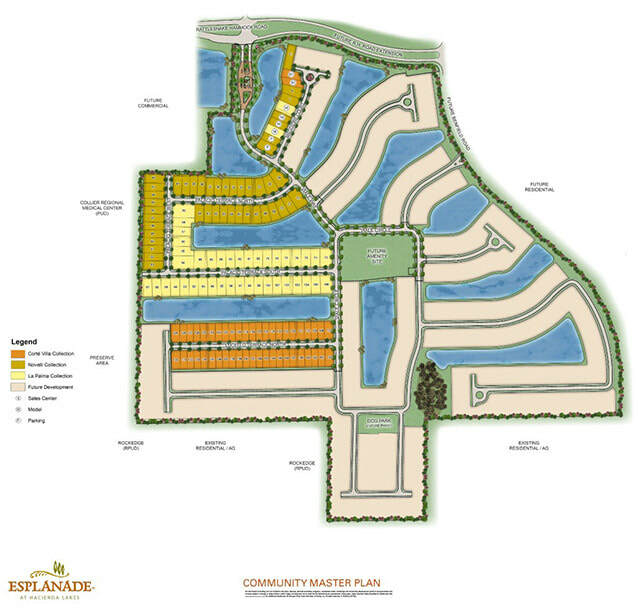 Esplanade Golf & Country Club is a bundled golf community developed by Taylor Morrison Builders. The community spans across nearly 1,800 acres with natural preserves, wetlands and lakes accounting for 1,000 acres of that space. Esplanade Golf & Country Club is comprised of 1,121 residences consisting of single family homes, villas and condominiums.